First impressions count when visitors enter your premises, the condition of your premises is very important, as it plays a massive role when it comes to the image of your company. Visitors will look around and not only judge the brand but also make judgements on the condition of the premises. DMC facilities management offer and provide a wide range of office cleaning services in Milton Keynes, ensuring 100% customer satisfaction. Allowing you to have peace of mind when it comes to the cleanliness of your premises, leaving a positive impression from your visitors. Choosing to use a high-level office cleaning service helps to keep the environment clean and hygienic, in result reducing spreading and growth of bacteria, helping reduce staff sickness, allowing the team to work effectively together. 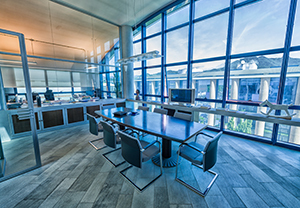 At DMC facilities management we offer office cleaning services within the Milton Keynes area. No matter what size we are able to provide services for small offices to large commercial premises and even manufacturing plants, making no job too big or too small. Our services run 365 days a year and 24 hours a day, allowing us to find a time that is most convenient for you and your premises. We will also work with you to create a service which is tailored to your needs, allowing us to work in partnership to provide the most cost effective way of working. DMC facilities management have an experienced professional team that will provide a high- quality service, to make sure that your premises will always make a good first impression. If you should have a problem or enquiry there is always someone helpful waiting to assist and answer any of your questions. Contact our professional team today to get a tailored quote for high level office cleaning in Milton Keynes on 01525 500 100.